Need a Free Estimate? Our appointments are on Saturday mornings. About C&L Tree Service, Inc.
C&L is the original Musser family-owned and -operated business. Our business began in the 1950s and became incorporated with the new millenium. 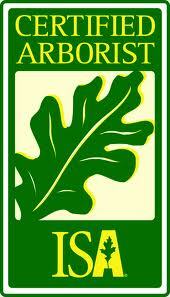 Our main goal is safety to you, the customer, by evaluating the health and condition of your trees. We have three licensed tree experts: father and two sons. We are professionals, experienced, and courteous to you, the customer. 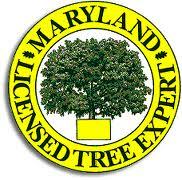 We encourage you to go to the MD DNR website and verify that the company you are dealing with are licensed tree experts. Our company remains top-rated with Consumer's Checkbook Magazine with Ratings from our Clients. Our "free estimates" are reasonable and based on what it will take to get the job done properly and safely. We look forward to becoming "Your" Tree Experts. C&L offers tree care services such as tree removal and tree trimming to most of Montgomery County, MD. (We do not service Takoma Park, Washington, D.C., or VA). ​Charlie and his brother Larry started our company in the 1950s. Charlie climbed the trees himself back then. He ran the company on a daily basis until he passed in early 2012...He will be dearly missed. Chuck was born into our business. He started climbing as a teenager. He joined the company in 1975, full-time. He is the owner, gives estimates, and oversees the management of the company on a daily basis.